Lake Anne Brew House will have its grand opening in a little over two weeks, co-owner Melissa Romano confirms. Romano told Reston Now previously that the business was eyeing a mid-April opening. The grand opening has now been set for Saturday, April 16. 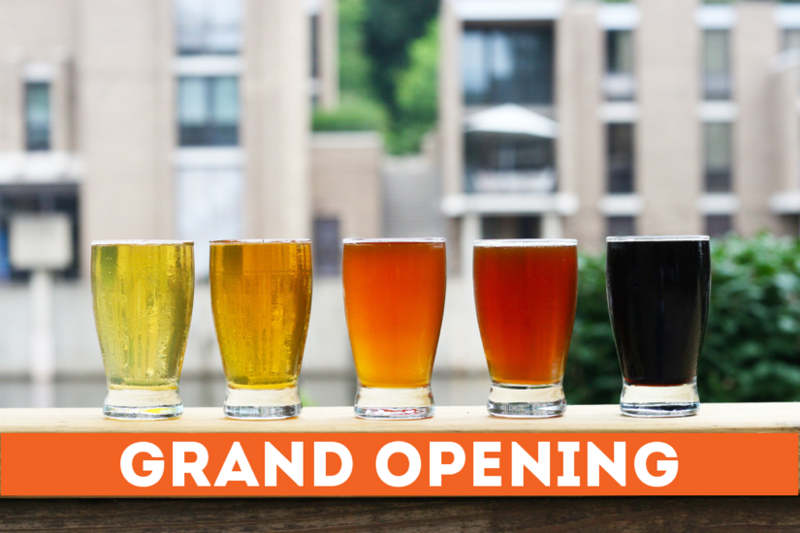 The Brew House — Reston’s first nanobrewery — will be open 10 a.m. to 11 p.m., with a special ribbon-cutting ceremony at noon, Romano wrote on the company’s Facebook page. The Brew House will also be open Sunday, April 17 from noon to 5 p.m.
Romano and her husband, Jason, purchased the former Singh Thai space at 11424 Washington Plaza W at Lake Anne Plaza nearly a year ago. They have done extensive renovations to the space and patio, but Melissa Romano said in October the permitting process took longer than expected because a nanobrewery is new territory for the county. Photo courtesy of Lake Anne Brew House Facebook page.